Get mobile broadband minus the lengthy commitment with a no contract deal. At Broadband Genie you'll find a straightforward guide to the pros and cons of no contract packages, and we'll show how to compare the latest offers to find the best deal. Can you get mobile broadband with no contract? Signing up for a new mobile broadband contract will typically involve agreeing to a 12, 18 or 24 month contract, and breaking that early can land you with hefty costs. But as an alternative to this you can opt for a “no contract” deal. Despite the name they’re not entirely free of a contract - these kinds of offers are also known as rolling monthly deals because while you’re not in it for the long haul you do still have an agreement with a network to pay a set amount. However this is just a 30 day term, so you can cancel at any time and the most you’ll ever pay is the remaining month. What’s the difference between no contract and pay-as-you-go? No contract broadband is a rolling 30 day contract, where you’re never committed for more than a month at a time. If you want a package which is completely free of a contract look at pay-as-you-go mobile broadband deals. With PAYG there is no commitment - simply pay for top-ups as and when you need them. Who should consider short term mobile broadband? Students: The simple fixed cost and flexibility of a no contract mobile broadband service may suit students whose living arrangements in the near future are uncertain. Temp and contract workers: If you’re living somewhere for a short period of time, home broadband may not be worth the hassle. Although a short term home broadband deal eliminates the worry of cancellation fees, it still takes weeks to setup and cancel. 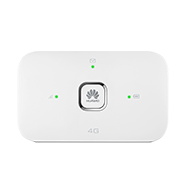 Moving home: No contract mobile broadband can be an easy and affordable way to plug the gap in internet access when moving home, especially if you’re having to stay somewhere for a short period in between. What are the benefits of no contract mobile broadband? Flexible: Cancel the service at any time and never pay for more than the remaining month. Portable: The service can be used wherever there is a signal. Fast: The latest 4G mobile broadband networks are very quick. They can outpace ADSL home broadband, and even challenge some fibre optic services. What are the drawbacks of no contract mobile broadband? Poorer value: Longer mobile broadband contracts offer better value, giving you more data allowance for the money. Upfront fees: You will need to pay for the dongle with no contract broadband, something which is often free on longer agreements. What’s most important when comparing short term packages? Network coverage: It’s essential to check coverage before purchasing any mobile service, as the speed is heavily dependant on signal strength. Click the network logos below to access the official coverage check tools. Setup: The cost for purchasing the bundle. SIM only will usually be free but otherwise you’ll have to pay something. The basic USB dongles are fairly cheap, while at the pricier end are Wi-Fi dongles - useful for tablets and games consoles as well as laptops as they connect over wireless. Monthly price: The minimum cost of your mobile broadband each month. This won’t change unless you exceed the data cap. The cheapest offers are around £5 per month (though the data limit is obviously very small at that price). When it comes PAYG you'll need to consider the top-up costs - we'll try to list some in the table but providers can offer many different packages so you may need to investigate further. Data limit: The amount of data you have to use each month for your contract price. Remember this is affected by both downloads and uploads and certain activities such as video streaming will use data much faster, and there are no unlimited data bundles so usage will be restricted by what you can afford. For further help, see our data usage guide. Which providers offer rolling one month contracts? The lineup of deals changes regularly, but at present you will find one month contracts from Three, O2, EE and Virgin Mobile. What happens to my contract after 30 days? Short term contracts are on a rolling monthly agreement, so you will be charged the monthly price every 30 days until the service is cancelled. Will my deal include a USB stick or Wi-Fi dongle? Monthly packages are available on a SIM only basis or with a mobile broadband dongle included. When comparing deals you will see both options listed. The filters can be used to display SIM only deals exclusively, or filtered for USB and Wi-Fi dongles. There are no mobile broadband providers offering unlimited data deals at this time. Will these devices be a suitable replacement for home broadband? Mobile broadband can replace home broadband, but in most cases we would not recommend it as anything other than a short term stop-gap. Although speed is not an issue, the small data allowances do heavily limit usage. It might be acceptable for a single person with very light usage, but you will need to keep a close eye on the amount of data consumed to avoid extra charges. For further help read our feature about using mobile broadband at home.